American Medical ID is proud to partner with AANP to offer members a 15 percent discount (5 percent discount on 10 Kt and 14 Kt Gold items). Together, we aim to increase awareness of the importance of wearing medical IDs for people who have medical conditions, allergies or are taking certain medications such as blood thinners or have memory impairment. Patients of AANP members will now receive a 10 percent discount when ordering medical IDs! 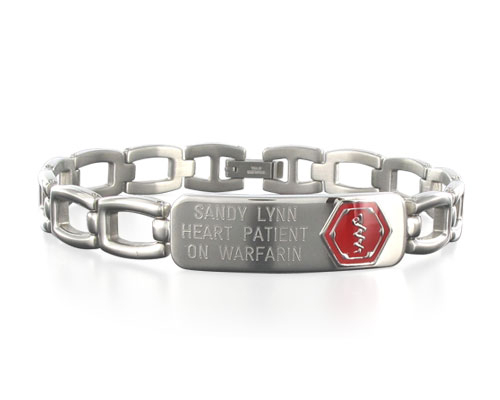 A medical ID bracelet or necklace is recommended by healthcare professionals around the world to quickly communicate medical information in an emergency. Wearing a medical ID offers you and your loved ones peace of mind. With American Medical ID, AANP members and their immediate families can get a great deal on a personalized medical ID. Use code AANPMXY20 to receive your 15 percent discount. Patients of AANP members will now receive a 10 percent discount on their medical ID by using code NP18W when ordering online. Medical IDs are important, especially for those living with chronic medical conditions. We want to help you get a medical ID on everyone who needs one! Whether your'e hosting a special event or would like a display in your office, we can help. Brochures include a discount code so your patients will get 10 percent off their order. What to Engrave On Your ID? My Interactive Health Record, MyIHR, consolidates important health and medical information into one secure, easy-to-access online location. MyIHR is ideal for patients with an extensive medical history, those seeing multiple specialists, or those taking more than one medication. It can even work in tandem with a medical ID during an emergency 24 hours a day, 365 days a year via the website and toll-free phone number. AANP Members and their families can receive a Free MyIHR account. Complete the form below with the name of the person who should receive the complimentary MyIHR. For multiple MyIHR files, please complete the form for each individual. 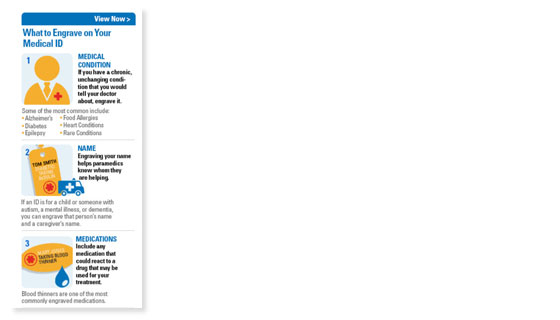 You will receive an email within 24 hours with your MyIHR login information and instructions.